Transition Time for the L.A. River and Griffith Park? You are at:Home»Current Events»Transition Time for the L.A. River and Griffith Park? 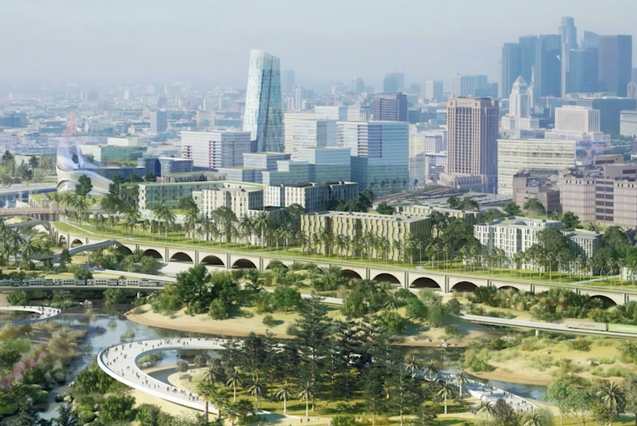 There are plenty of discussions happening right now about renovating the Los Angeles River. It seems every week another company or entity is announcing a new vision for revitalizing (and/or capitalizing?) on the future of the river. As you may or may not know, a generous portion of the Los Angeles River is contained within the boundaries of Griffith Park – from the north side near Burbank southward through Glendale to Atwater Village. Alterations to the river in these – or any other part of the 51 miles of the river for that matter – could very well impact human visitation to Griffith Park as well as the flora and fauna that live in the park. 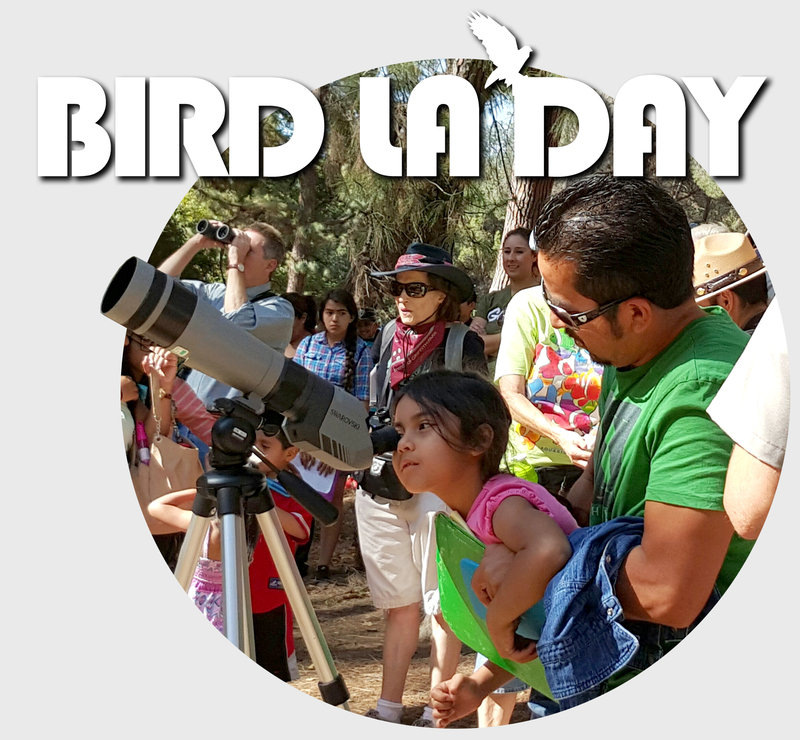 Friends of Griffith Park closely monitors all proposals, auditing po­tential changes through a lens of preservation, inclusion and environmental impact. Currently we’re actively watching three proposals which have made recent headlines. Last year, L.A. City Council approved an 11-mile plan with the U.S. Army Corps of Engineers to utilize the efforts of architect Frank Gehry as means to revitalize the river from Griffith Park to downtown; this year, city officials put out the call to design firms about their river visions via the L.A. River Downtown Design Dialogue. Several firms have presented ideas, including a recent extensive version from L.A.-based AECOM, a multinational construction and engineering company, which wants to increase green space and provide much-desired housing along the banks of the river. AECOM’s 4-mile plan overlaps some of the 11 miles in the Army Corps’ plan and involves using hundreds of acres of river-adjacent land, reshaping the city core and making cleaner trains for the nearby Piggback Parcel railyard in addition to converting much of that 120-acre industrial location into green space for recreation and tourism and river access. California Assemblymember Laura Friedman is working hard to secure $20 million in state funding to complete Phase III of the Glendale Narrows Riverwalk which opened to the public in 2012; the long-awaited bicycle and pedestrian bridge would span the L.A. River and connect the Glendale green space walkway/ bikeway system with the Los Angeles bike trail and Griffith Park. More than 100,000 residents live within one mile of the proposed bridge which is also within blocks of Dreamworks and its nearly 3,000 employees. Additionally, up to 7,000 new employees at the soon-to-be Disney’s Grand Central Creative Campus could use the bridge as a way to combat traffic congestion. If the funding bill is passed by the legislature, the bond measure will go before voters for approval in 2018. A new bill simultaneously introduced in both houses of Congress would place nearly 200,000 acres of land in and around Los Angeles under federal protection. Proposed by Representative Adam Schiff and Senator Dianne Feinstein, the Rim of the Valley Corridor Preservation Act would double the size of the Santa Monica Mountains National Recreation Area with the addition of Griffith Park, much of the L.A. River and open spaces in the Santa Susana Mountains and the Santa Clarita Valley. 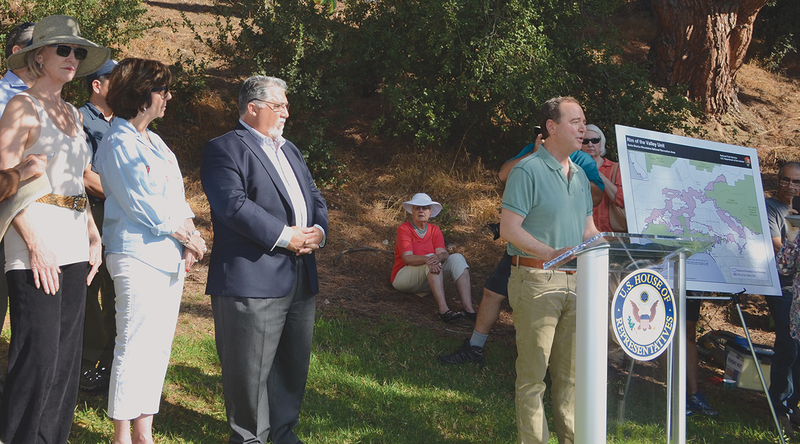 Schiff says that by bringing these areas into the NPS, park officials can create and maintain new hiking trails, monitor wildlife and provide financial assistance for preservation-related projects. Schiff originally introduced the Act in 2016 (an earlier report and interview by FoGP can be accessed at http://www.friendsofgriffithpark.org/the-rim-of-the-valley/ but it was never considered by committee. While the Trump Administration has moved to chop recreation areas and national monuments and open others up for oil and gas exploration, Schiff sees the inclusion of these urban green spaces into the NPS fold as a way to protect them with expanded finances and better programs. Has anyone actually bothered to go and walk along or ride along the LA River lately ? 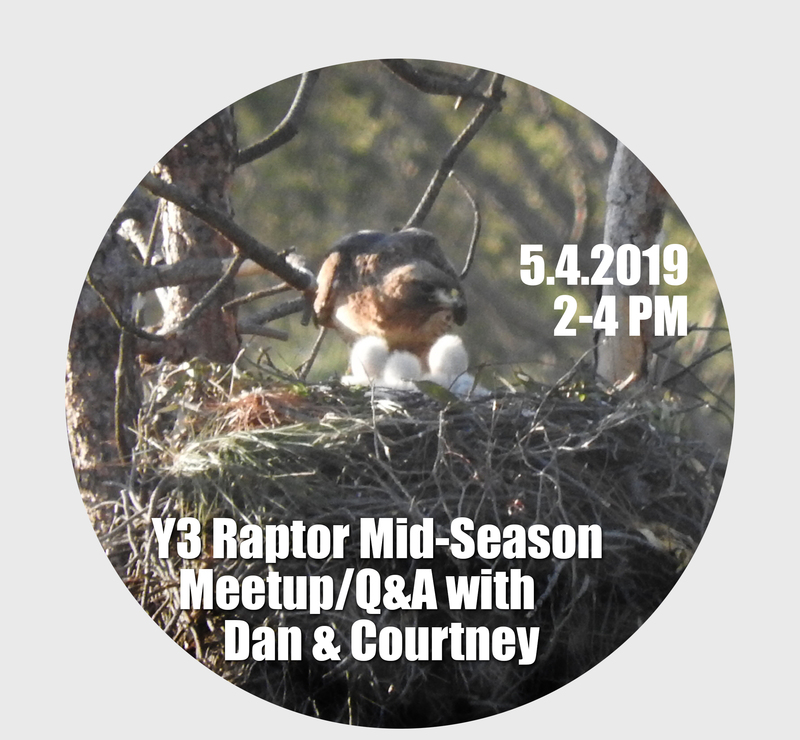 It’s riparian zone is being systematically destroyed up and down stream of the victory street bridge that crosses the 134 freeway and puts you in Griffith Park . Why is nothing being done about this!!! An entire eco system is being wiped out, hundreds and hundreds of differing water fowl , herons , egrets and water eco systems that exist out of sight , gone !!! Trees ripped out or cut down, almost all ground cover being torn out leaving no place for these river creatures to hide or rest. It’s horrible.What can be done ?